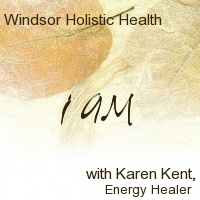 Contact Karen if you are ready for this indepth year of clearing and healing. There are a limited number times a year this is offered. This is the cadillac of all my products. It is a one year commitment to your journey. All I do is support you and facilitate your inner growth and personal self-discovery to become I AM. According to SRT, the 'I AM is an expression of the one great I AM THAT I AM, which is both movement and completion. There is power in the term I AM. We all have the desire to become the perfect expression of SPIRIT. How can I help you do that? We begin this series with an introduction session. Then 3 weeks later the monthly sessions begin. Not all sessions will be done in person or on the phone. We will meet when we are guided to meet together. This series is transformative and will make you look at your life in ways that you have never done before. Are you ready to release what has been holding back your soul's purpose lifetime after lifetime? Consider this step on the journey you have been waiting to step into. you and your true expression.